Taking the data released so far on the iTunes App Store and performing to usual regression analysis gives us a high degree of confidence that 300k apps will be achieved by end of this year and 500k well before the end of next year. The app add rate is running at about 500 apps per day. 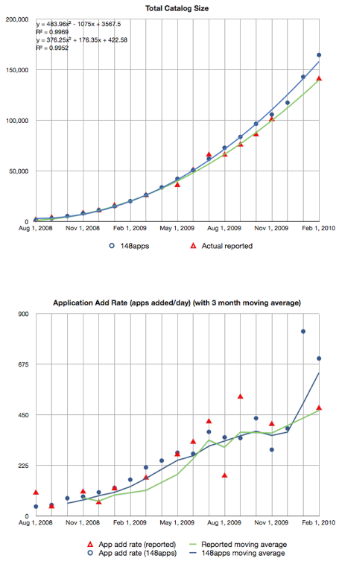 The graphs above show the total catalog and the app addition rate as reported by Apple and as estimated by 148apps.com. 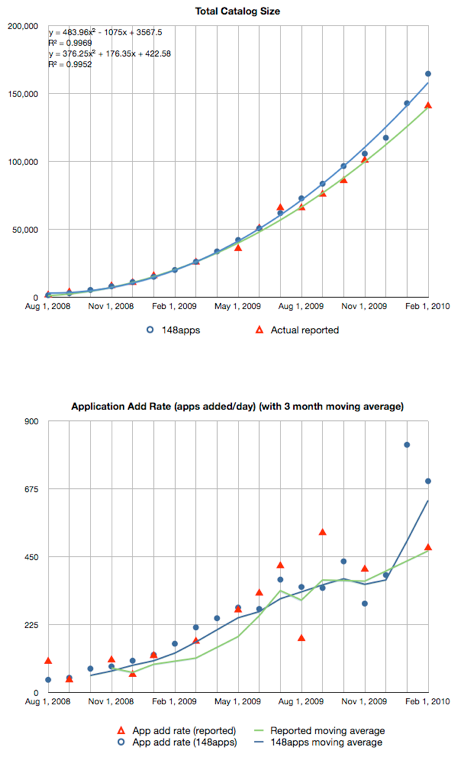 The other useful data is that 148apps.com has had a pretty good record in tracking the catalog.